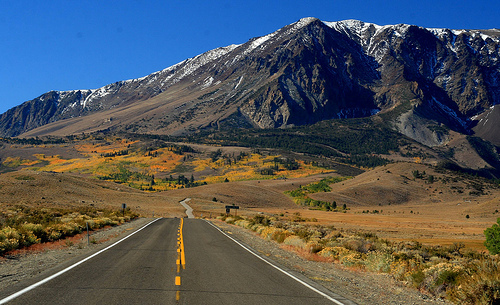 California is the perfect state for scenic road trips with a sunny climate and stunning scenery. The Pacific Coast Highway is undoubtedly one of the most memorable drives in the world and just begs to be enjoyed in a convertible. Travel from north to south so you are right on the edge of those dramatic sea views. Further inland, the national parks have some of the tallest and biggest redwoods in the world and a scenic drive along the Napa Valley takes in many local wineries. Further south, historic towns, surfing beaches, historic missions, fabulous castles and shimmering desert landscapes offer something for everyone. 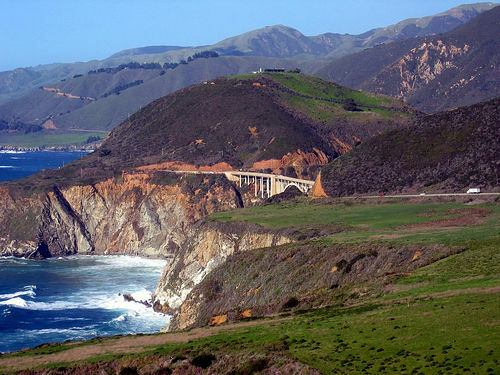 This is California’s most scenic drive along Hwy 1 from Carmel, just south of Monterey, to Morro Bay. 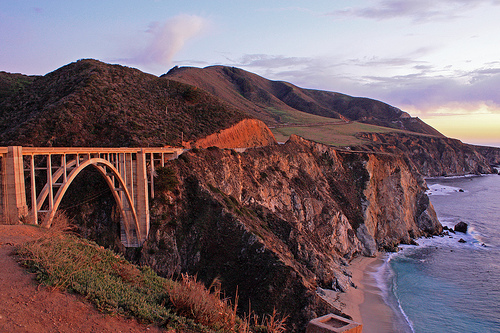 The Pacific Coast Highway runs for 122 miles via Big Sur with breathtaking coastal scenery. The road rises and falls like a roller coaster ride with stunning views from the cliff tops and sheer drops to sandy coves below. The road snakes and winds over 33 bridges, with frequent temptations to stop. Travel highlights include the town of Carmel, Big Sur, Point Lobos State Reserve, Hearst Castle and Cayucos State Park. This short 16-mile route can be enjoyed in all seasons and is a real delight for keen-eyed birdwatchers. The route starts a short distance inland at the lovely town of San Luis Obispo. Follow the Los Osos Valley Road out of town through rural countryside. After 7 miles turn right on Turri Road and continue to Los Osos Creek where waterfowl such as mallard and teal will be seen mixing with wading birds. At the T-junction turn right then first left into State Park Road which borders the estuary, giving superb views of shorebirds and egrets. Park at the marina and take a walk around the lagoon and estuary to see harbor seals basking on the sand spit. State Park Road continues past the Museum of Natural History and Windy Cove, another popular birdwatching spot, before arriving at the landmark Morro Rock in Morro Bay. Wine lovers will enjoy the 26 mile scenic drive through the Napa Valley along the Silverado Trail which was built in the 1850s to serve the silver miners and is home to some of the best wineries in Napa Valley. The trail starts in Napa and runs north through rolling hills and valleys covered in trained vines which are laden with bunches of Chardonnay and Cabernet Sauvignon grapes in late summer. Historic Yountville has several wineries for touring and tasting. The drive continues through the Coast Range Mountains to Calistoga, famous for its Old Faithful Geyser. In sharp contrast to California’s scenic coast is Death Valley, a testing 130 mile scenic drive through the desert. The dried salt flats have scorching temperatures and nothing survives to provide shade. Start the drive early in the day at Olancha and head east on Hwy 190. After crossing the Argus Range, enter Death Valley National Park and pass the Panamint Dunes until you reach Aguereberry Point at 6,433 feet elevation with incredible views across Death Valley. Scotty’s Castle offers fascinating guided tours and the Ubehebe Crater is worth a detour. After Furnace Creek Visitor Center the road descends to the floor of Death Valley – 179 feet below sea level. Dante’s View is a good place to stretch your legs before reaching the end of Hwy 190 and Las Vegas is just a short drive away along the I-15. Those staying near Mono Lake should travel south on Hwy 395 and follow signs to June Lake Loop. Carved by glaciers, this short 15 mile scenic drive passes June Lake and Gull Lake amidst some of the most amazing mountain scenery in California. Further along, Silver Lake and Grant Lake are the perfect places to stop for a picnic and a spot of fishing before rejoining Hwy 395. This 253 mile road trip has spectacular natural beauty at any time of year. Travel through the Sierra Nevada Range from Oroville following the Feather River northwards. The SR 70 climbs through the granite gorge with tunnels and bridges that were engineering marvels in their time. At Paxton join the CA 89 and do the loop around Lake Almanor, also known as Little Lake Tahoe. Back in Paxton turn right along the CA70/89 south to the quaint towns of Quincy and Portola, with its Western Pacific Railroad Museum. At the Nevada border head south on CA 49/89, finally reaching beautiful Lake Tahoe at King’s Beach. On this scenic 49 mile drive, travel through California’s deepest canyon on a road which winds between the trunks of countless giant sequoia. 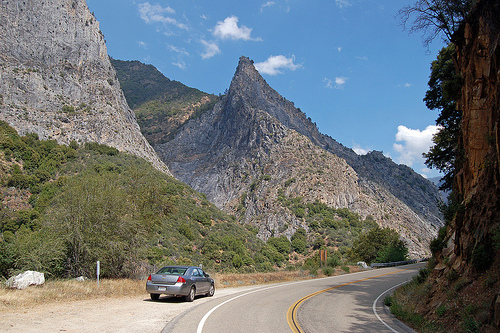 Pick up the CA 80 in Dunlap, east of Fresno and head east into the Sequoia National Forest. Keep on the CA 180 to reach King’s Canyon and stop to see the General Grant tree, the third largest sequoia in the world, around 3,000 years old. The road continues through the canyon with stunning viewpoints and a short detour to Hume Lake. Junction Overlook with its 7,891 feet sheer drop, Grizzly Falls and the Roaring River Falls are impressive highlights before the trip ends at the CA 198. Travel through the San Bernardino Mountains, past beautiful Lake Arrowhead and Big Bear Lake on this scenic byway. The 100 mile drive starts at Phelan and heads east on CA 138 passing the Silverwood Lake Overlook with views of the Cedar Spring Dam. After climbing through beautiful mountain scenery, the CA138 joins with the CA 18 and heads east through the San Bernardino Forest. You may be tempted to stop at Lake View Point before heading to the Big Bear Observatory or taking the Bear Lake Loop. This awesome California scenic drive finally ends in Montone. A great way to see the Joshua Tree National Park in South California is on the scenic drive starting at Palm Springs. From the I-10 pick up CA 68, better known as the Twentynine Palms Highway and head east towards the town of Joshua Tree. The 89 mile route through the Mojave Desert passes many cactus and spiky Joshua trees, through rocky terrain which is home to big horn sheep and mountain goats. There are many short hiking trails to palm groves before reaching Cottonwood Canyon and the I-10, east of Coachella. Another wine trail, this time from San Luis Obispo, completes our 10 Best Scenic Drives in California on a high note. 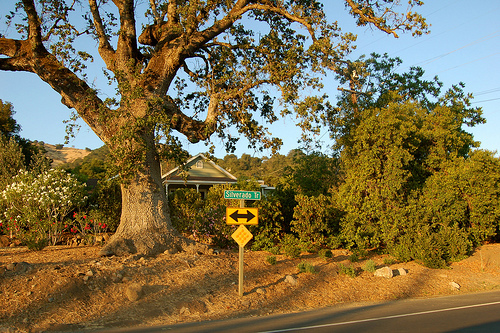 Travel south from the town on Orcutt Road through rolling hillsides and horse farms. The coastal fog is perfect for producing the Chardonnay and Pinot Noir wines which the area is famous for. The route takes in historic farmsteads, countless wineries, tasting rooms and Lopez Lake County Park before joining the CA227 north which takes you back to San Luis Obispo.